In AD 60, Prasutagus, dies, and by Celtic law his estate & lands were to have bequeathed to his wife, but the Romans decreed, that they would take over his land and his camp. Boudicca, strongly resisted any attempted to achieve this and as a reprisal, the Romans, had her publicly flogged and had both of her daughters raped. So Boudicca, realising that anyone remaining in Colchester were sympathisers, burned Colchester to the ground and slaughtered everyone there, about 15,000. And then marched her tribe to London believing Suetonius was in London once again burned London to the ground and slaughtered everyone there, and marched on to St Albans and similarly burned this to the ground and also slaughtered everyone there also, in all about 80.00 people. Suetonius, on hearing of the revolt, marched his garrison of approximately 10.000, men, towards London on the A5. Boudicca, not having achieved her objectives of ridding the country of Suetonius and the Romans, and hopeful of meeting his army coming down Watling Street, the opposing armies met at Cuttle Mill just south of Towcester. The Romans, although outnumbered, 3 to 1, highly trained in warfare, and were heavily armed with cannons etc. 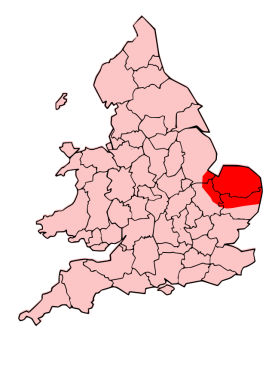 Boudiccas forces (mostly women) were easily repressed and Boudicca was wounded, not to be taken prisoner, she fled the scene and turned south down Watling Street towards Magnovinium, (Fenny Stratford). But she never made it, and died of her injuries at a small group of hamlets near Newton Longville, and a house named in her honour “Dead Queen Cottage”, the present day owner had a farm house built nearby and transferred the name as it is now to, “Dead Queen Farm” on the Bletchley to Newton Longville Road. This “history” is mostly fantasy. The romans did not have cannons. They did have ballistae, which are large wheeled crossbows, but these were siege weapons, There is no evidence that the Celtic army were mostly female, and the battle could have happened anywhere between Fenny Stratford and Daventry. Since there is another legend that Boudicca is buried under a platform at St Pancras (seriously!) even the location of her death seems to be confused. Finally to the comment above, you’d be looking North from little Brickhill, not South. “Paulinus met the Britons at a point thought to be near present-day Fenny Stratford on Watling Street and in a desperate battle regained the province. Boudicca took poison or died of shock”. Well that’s what Encyclopaedia Britannica says. But at little Brick Hill looking south you may be inspired that, maybe, her warring maidens lost this battle – just there below you.